What path led you to writing about Marie von Clausewitz? I am a journalist and I always wanted to write a book. Some years ago I married a US soldier but my first years in the United States were very difficult because I did not know what to do with myself. I did not speak English well enough to work for American media and I did not have many friends. I decided to get a MA degree in something that would require a lot of writing, as a way to improve my English. But, like every other military family, we move to a new duty station every two to three years. It was a complicated situation. Norwich University’s Military History program offered me enough mobility. Of course when you study military history, you have to deal with Carl von Clausewitz because On War, by and large, is at the center of this discipline. I already spoke German and had lived in Germany for many years. This gave me clear edge in the discussions but also led me to read more and I became a bit obsessed with Clausewitz. I learned that the military theorist never finished On War and it was his wife, Marie, who edited and published the treatise after his untimely death. It was such an interesting story but no one has written extensively on the subject. Half jokingly, I wrote in an email to my professor, John T.Kuehn, saying that I could study Marie’s life and influence one day. He was very supportive. This is one of the things I love about America – people don’t try to put you in a box or tell you about your limitations. Back in Europe, I would probably have heard skeptical comments about my bravado and all of the possible obstacles. But in America you are allowed and even encouraged to run with an idea and if you fail, people would still give you credit for trying. 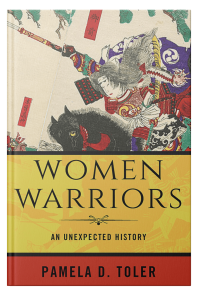 You said something in your program at the Pritzker Military library that struck my imagination as a historian: that sometimes the primary sources dealing with women are not lost, they are just forgotten. Could you tell us about your experience finding primary sources related to Marie von Clausewitz? I was very lucky. In 2012 I began my work on Marie’s biography. We went back to Europe that summer on vacation and I contacted several archives in Berlin. Everyone was very nice and the archivists brought me everything they had in their vaults. It wasn’t much. I think the archivists felt a bit sorry for me—I had come all the way from the United States—so they offered me to write down my email address. It is a standard practice, the archives promise to contact you if new documents were to appear or another scholar researched the subject. If truth to be told, I thought I should give up on this project…. By that point only 16 of Marie’s letters to her husband, shortened at that, were known. The correspondence, together with the majority of Clausewitz’s papers, was thought to have been lost during WWII. Then in December 2012, just couple of months later, I received an email from the Prussian State Privy Archives asking me whether I were still working on Marie von Clausewitz. They had received as a deposit the family papers of an old aristocratic family and among them was the Clausewitz couple’s complete correspondence. Can you imagine – 283 letters written by Marie? So the correspondence was never lost, but none, and I include myself in this, thought about researching the family tree and contacting the descendants. I have to admit that after the initial excitement I went into panic mode. The Prussian Privy Archives offered to make e-copies of the letters, so I didn’t need to travel and stay for months in Berlin, but it was up to me to decipher and read them. And if you have ever seen nineteenth century handwriting, you know how impenetrable the text appears. I sat on that email from the Prussian Privy Archives for about two months. I did not know what to do because I realized that this would be a huge project, an enormous challenge and would take years from my life. And I am this little Eastern European woman, an immigrant, always one check away from financial troubles, I still make stupid errors in English… How on earth could I pull this off??? Yet I also felt responsibility. Someone—call it God, fate, nature, chance—had given me this opportunity and I had to make the best of it. I learned to read Marie’s handwriting. People started taking me seriously. Other archives and private collections learned about my project and contacted me. Suddenly there were more primary sources I could ever include in one book. This is my advice to scholars, especially if their topic is on the margins. Look harder, think outside the box, leave your business card everywhere, build a network, knock on every door, and ask everyone. Beyond the question of sources, did you run into other challenges in writing about a woman whose biography is overshadowed by a famous man, in this case her husband Carl von Clausewitz? When it comes to women’s history, so much context and details are lost. 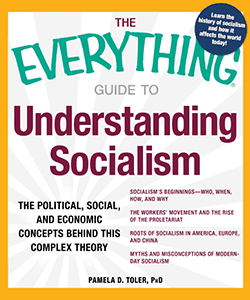 Few people thought necessary to write down their daily life; or consider the influence informal gatherings, like literary salons, had over the process of crafting groundbreaking ideas; how back-room conversations and personal connections influenced political processes; or the way grass-root movements and charitable initiatives shaped social tissue. And, as we know, these were realms mostly dominated by women. Often enough, women themselves did not think their own lives worthy enough to leave extensive writings behind. Marie actually did not have this problem. She knew that hers and Clausewitz’s lives, love and partnership were unusual. Marie indeed left extensive notes about her childhood, their courtship, and the early years of marriage. She kept all their correspondence and every other scrap of paper. But then life got in the way and she wrote down only short notes, to be reminded about dates and events later when one day she or Clausewitz would compose an extensive narrative. He died untimely, and after that, busy with editing and publishing On War, and her day job at the royal court, Marie had no time to work on this project. Then she passed away unexpectedly too. Compared to the challenges other scholars of women’s history face, I had an enormous amount of primary sources to explore and quote. Often it felt, however, like playing Jeopardy! What did the short remark mean here, why did Marie feel compelled to write down this seemingly unimportant detail, why she never said a word about that earth-shuttering or widely known event, why did she recorded these particular four lines from a famous novel in her notebook? Sometimes it took me weeks and months to untangle the clues…. Writing about a historical figure like Marie requires living with her over a period of months or years. By your own account, Marie could be a bit “pushy”. What was it like to have her as a constant companion? I don’t think Marie and I are similar personalities — I neither have her pedigree, nor political connections, even less high social status, my French is terrible. But we are women in similar situations. We are both army wives. We both felt one time or the other that we had very little control over the course of our own lives. We had to push against circumstances that limit us. So Marie became a good friend for me, someone I don’t always agree with, but I really like. There were several occasions when I wished she would say or do something else. Sometimes she obsessed about things that really did not matter and I wish I could tell her to move on. Mostly I felt privileged to study someone so up-close, to read her most intimate thoughts, without any restrictions and concealment. I know more about Marie than about my own mother…. And that’s alright with me because I don’t want to know all of my parents’ secrets. Have you experienced any pushback on your argument that Marie was central to shaping the final form of Clausewitz’s On War? The crucial role Marie played in editing and publishing Clausewitz’s seminal treatise is well-known. Her “Preface” is on page one of On War and everyone who opens the book usually reads it. We also know that Clausewitz never considered leaving the manuscript to anyone else but Marie. Throughout the centuries scholars studying his drafts have also observed that many of them are written with her handwriting. In this sense, it’s hard to dispute that Marie was the person closest to Clausewitz. Still, I paid enormous attention to citations, prior scholarship, context and translation, in order to make every one of my arguments irrefutable. So far, indeed, none has criticized my explanations and interpretations (I cross my fingers). Oddly enough, some readers tell me that I should have included more details, adventures and stories about Marie. Yet when you are the first author working with new material you have to extensively defend all of your groundbreaking arguments. It is a tough balance to find between scholarship and storytelling. There is simply not enough space because we all work with a pre-determined word count. In my case the publishing house even increased it later by around 15,000 words. I also believe that readers, when finishing a book they really like, always wish for fifty more pages. However, I am not sure that initially they would have picked a work from a new author if it were, say, 500 pages. But maybe this is a good criticism to have, it means that readers like my style and storytelling and would read the next book I write. Is there anything else you wish I had asked you about? Why the life of a nineteenth century noble woman matters to us? Of course in the case of Marie, she played a crucial role in the creation of one of the most influential books ever written, On War, and unraveling her story brings us closer to understanding Clausewitz and his ideas. Yet I think there is a universal reason why women’s lives and voices matter and why works on women’s history are suddenly so popular. It’s not because they negate great men’s lives and achievements. I would argue, in fact, that my book is not revisionist. Clausewitz actually comes better off. The more you read about Clausewitz, the husband, the more you appreciate Clausewitz, the scholar, and sympathize with Clausewitz, the soldier. 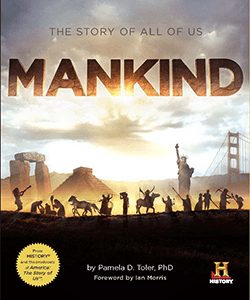 Humanity has made enormous progress in so many areas but there are still things we don’t understand about the world we are living in and the forces which shaped it. How could good ideas do so much harm in real life; how could decent people end up on the wrong side of history and advocate horrible things; why seemingly irrational concepts take hold of so many minds? In order to understand these complexities we have to change the perspective, we have to go to the nitty-gritty of social, political and military processes, and open up the narrative. Women’s history could be one of these vehicle of comprehension. It brings forward stories previously ignored, it confront long-held believes, it creates a fuller picture. Last but not least, often these heroines had incredibly interesting and exciting lives and it is pure pleasure to read about them. *It’s a great deal. You don’t have to miss out just because you don’t live in Chicago. I don’t have to miss out just because the weather is nasty. Vanya Eftimova Bellinger is the author of Marie von Clausewitz. The Woman Behind the Making of On War, recently published by Oxford University Press-USA. () Born in Bulgaria, she is a veteran reporter and has worked for major Bulgarian and German media. Vanya Eftimova Bellinger is the winner of the 2016 Society for Military History Moncado Prize for her article “The Other Clausewitz: Findings from the Newly Discovered Correspondence between Marie and Carl von Clausewitz,” The Journal of Military History 79 (April 2015). Her book is available at Amazon here: http://www.amazon.com/gp/product/0190225432 or through your local bookseller. Being that my only formal writing instruction has been reading and rereading Zinsser’s “On Writing Well” the insight given here a tremendous asset. 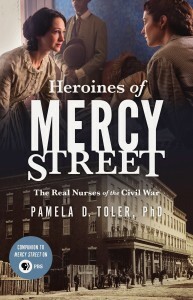 I think the author of the wonderful “The Heroins of Mercy Street” should interview herself!